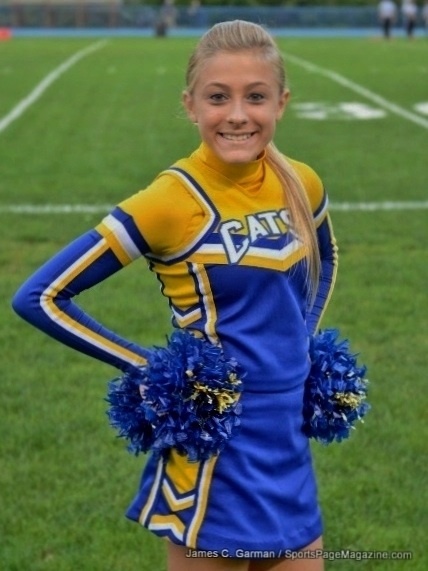 Sixteen year old Nina Poeta is a cheerleader for Seymour High School and a talented gymnast and was having trouble with headaches while performing her routines. On Tuesday, November 19, 2013, she received an MRI of her brain because of these headaches. The next day her family was told to bring Nina to Smilow Cancer Center at Yale New Haven Hospital where she was diagnosed with a mass on her brain. They were told the cancerous tumor Is located in her brain stem and can't be surgically removed. Nina was immediately fitted for a radiation mask and will begin radiation therapy on Monday, November 25th. 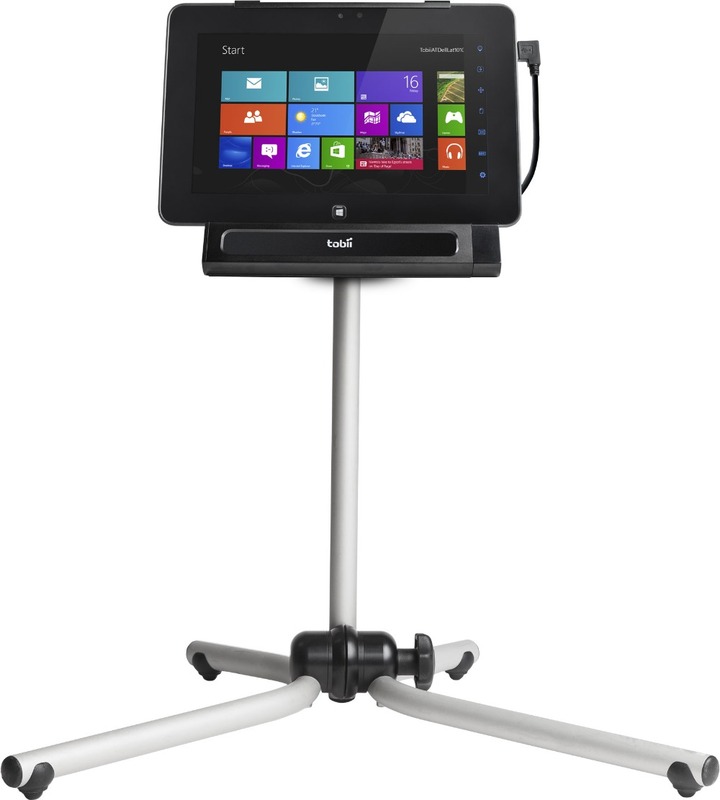 She will be treated with radiation five days a week for a total of 30 visits at Smilow. The oncology team hopes this will shrink the tumor. This is not a cure and the mass may grow larger at any point in the future. Chemotherapy may be required, as well, depending on the outcome of the radiation. 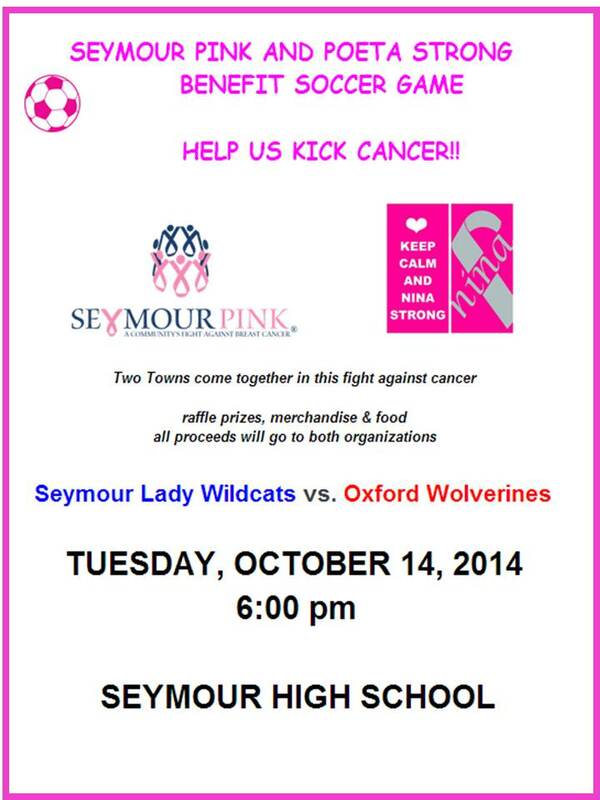 This will be a very hard fight and so many people have asked how they can help! We are organizing this site with hopes of helping raise money for the Poeta family during this extremely difficult time. They will be looking at time away from work, medical bills and challenges still unknown. Thank you for your prayers, support and most of all love during this battle. Dorie, John, Cara and, of course, precious Nina, will need as many thoughts, prayers and support as possible. We will fight hard, we will offer support, and we will be there to help Nina win this fight! Please find it in your heart to donate and spread the word to as many people as possible (email this out please!!). Cancer has affected all of us in one way or another and we need to pull together and support this special family and their beautiful 16 year old daughter on her road to recovery. I appreciate that you have taken the time to read their story and even if a monetary donation is not possible please say a prayer for Nina and the Poeta family. As the Poeta Family suffers the worst loss imaginable, they need the support of this wonderful, and large, community more than ever. Poeta Strong will continue to try to anticipate the needs of our dear friends and help them in any way possible. Right now they need us to offer our love and prayers. They also need our financial help. The expenses of the past year are great. We can ease this burden somewhat. Benefits are being held to offer assistance over the next few months. Please attend as many as you can. These are opportunities to join together and celebrate Nina's life and this wonderful family, while removing some of the added stress of these large expenses. 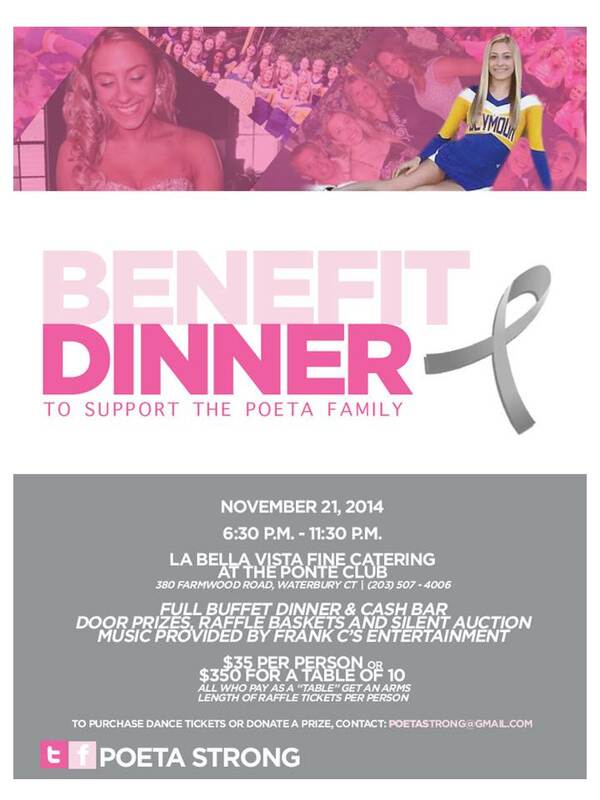 Next Friday, the 21st, A Benefit Dinner will be held at La Bella Vista at the Ponte Club. Individual tickets, as well as full tables of 10, are available. This will be a very special night for friends and family to gather. Please send a message here on gofundme or poetastrong@gmail.com for tickets. Many of you know my phone number!! Call me. Thank you all for continuing on this journey with The Poeta Family and for being there for them throughout the past year. WE ARE POETA STRONG!! It is with broken hearts that we share the news of Nina's passing. Nina was at home surrounded by her mom and dad and her sister, Cara. It was a calm and peaceful moment at 11pm on November 1st, All Saints 'Day. The Poeta family would like to thank you for your love and support during Nina's difficult journey. Their angel is now with the other angels in heaven. Nina is home from the hospital. She is being cared for by Mom and Dad and Cara. A nurse is with the family, too. A beautiful event took place at Nina's home Sunday when the Daughters of Charity, a group of sisters from Mother Teresa's Order, came to pray with her. A crowd of friends and family, close to 200 strong, surrounded the outside of the house and prayed while the sisters prayed inside. Today is a another very special day for Nina. 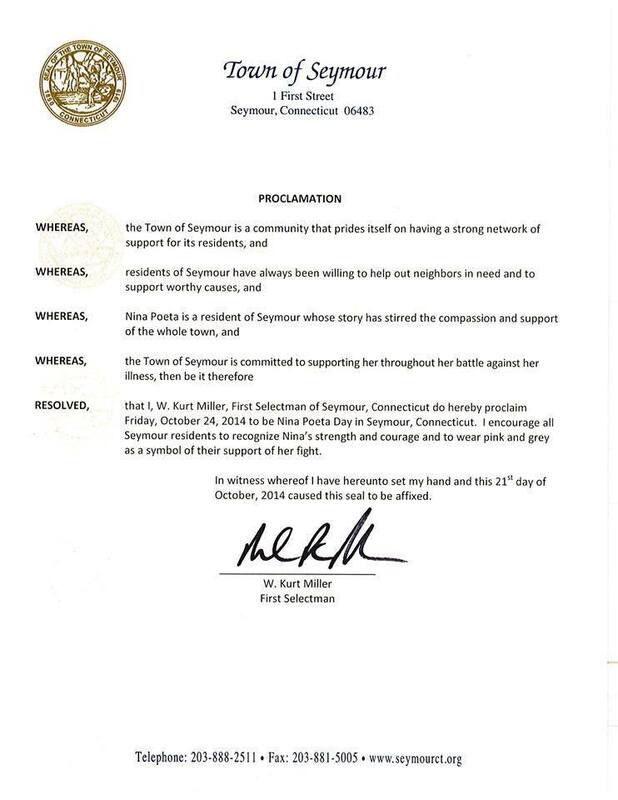 First Selectman, Kurt Miller, has proclaimed it , "Nina Poeta Day" in the town of Seymour, CT. 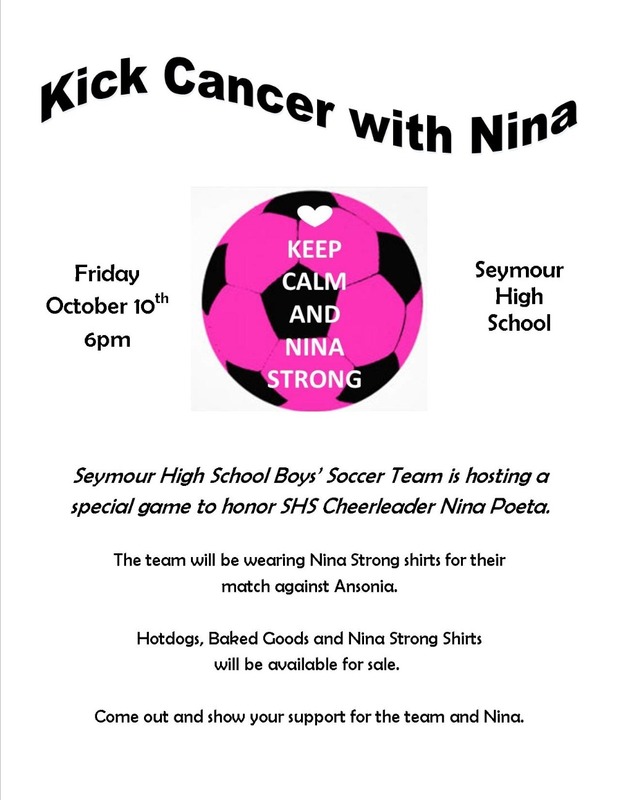 He encourages Seymour residents to, "recognize Nina's strength and courage and to wear pink and grey as a symbol of their support of her fight." I would like to extend this to all of Nina's supporters throughout the world. 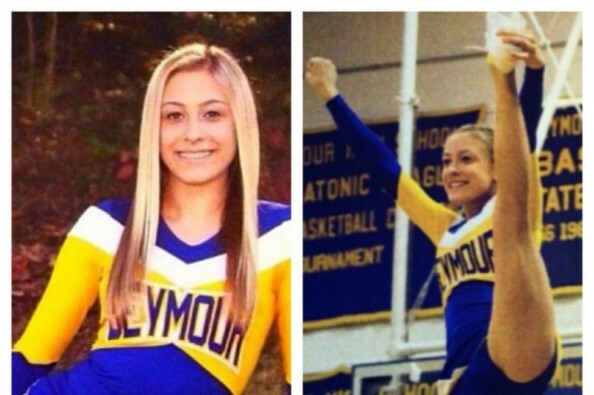 Please say an extra prayer for Nina today and wear pink and gray. Also, please share Nina's story with your friends and neighbors. 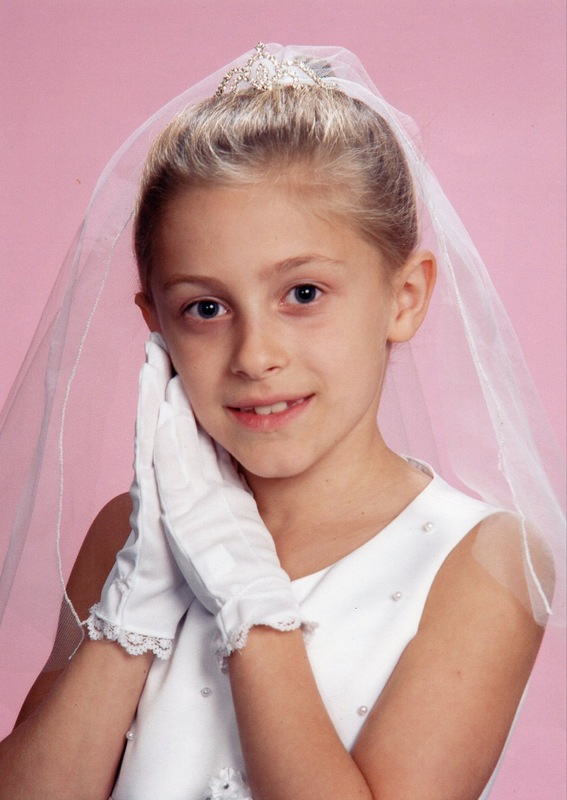 Today, Nina Poeta Day,would be the perfect day to meet our goal of raising 100,000 dollars to help the family during this grave time. Thank you all for your continued love, prayers, and support. The Poeta Family is remaining strong because of this amazing rally from around the country and beyond. We are so sorry to hear about Nina's passing, you all are in our thoughts and prayers. John, Dora and Cara, I am so sorry for your loss. My heart has been heavy with sadness all day thinking of Nina. I plan on doing an act of kindness this week in honor of Nina. My thoughts and prayers are with your family during this extremely difficult time. My family and I are so sorry for your loss. You are all in our prayers. Thank you for all you have done for Nina and her family. Prayers of comfort for you, for the Poeta family, and for Nina and all those that love her. I want to support Nina from here in New Zealand. Do you have bumper stickers or the likes? Where can I purchase a Nina Strong t-shirt to support? Love and prayers sent your way, Nina, all the way from New Brunswick, Canada! Stay strong Nina! Thoughts and prayers sent your way! Stay strong, Nina! My thoughts and prayers are with you and your family. Keep fighting and you will win the battle! You and your family are in my family's thoughts and prayers . Awesome news. Prayers will continue until she is 100%. Praying for a miracle for you .. All things are possible..
Nina, Lorraine and I are praying for you several times a day. Please try to stay positive. We have witnessed many miracles concerning cancer patients. We are praying for you for total and complete healing. Gods blessings to you Nina and your family. For bows purchased from Once upon a big bow by the Seymour Spirit Club$3 per bow is being donated to the Poeta Family. Rest in peace our beautiful angel. I know it's not much!! I wish I could do so much more for you all!! You are beautiful people! And have been so nice to my Izzy! We have Nina on our minds everyday!and in our hearts! My izzy wears her buttons of Nina to every game ! And on her school backpack ! I know she's watching over my izzy and all of you! Any help with any thing!! We would be happy to be there ! I wish I could of done more for Nina ! And I said as soon as I am back to work I would donate! God bless you all!!!! I helped sell PartyLite in late 2014 to generate donations. Though we officially closed the donation party, I am including my commission from my January parties to be able to give a little more. God bless. John, Dorie and Cara, thinking of you guys everyday.